The custom designed carrying bag is lightweight. 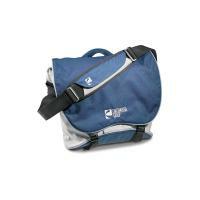 Protects and transports Intelect Legend Transport unit and accessories for therapy on the go. Stimulator & Electrode Accessories can be found in our extensive online collection of products from globally recognized and trusted brands, including Chattanooga. An excellent option to consider is the ntelect Transport Carry Bag.